David V Jaworski was named the P&BA 2003 Man of the Year. The announcement was made at the General Membership Meeting on May 6th, David Jaworski became a member of the P&BA in 1992. He immediately became pro-active and has made numerous contributions to our Association. He has served on the Board of Directors for 9 years and was recently appointed by President Milewicz for his 2nd year as an advisor to the Board. He was elected vice-president for one year, and most notably is the only member in the history of our Association to serve 3 terms as President in 1997, 1998 and again in 2000. David served on numerous Association committees and chaired many of our successful functions. He sponsored a number of individuals for membership and was a major supporter of our Fund Raiser. Outside the P&BA, David is a member of the Erie County Bar Association and is an officer of the Advocates Club. He has been a member of the Cheektowaga Chamber of Commerce since 1990 and began his tenure as President of the Chamber on July 1st. The 43rdP&BA Man of the Year opened his own law practice on May 1, 1990. He practices in the areas of civil litigation, including personal injury, commercial and estate litigation, estate planning and probate, real estate and matrimonial law. 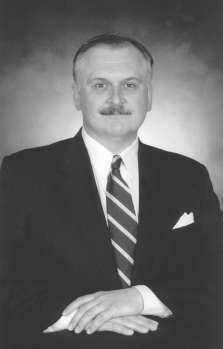 He is the founder of the Law Offices of David Jaworski.